At first glance, it’s hard to not look away from the exterior styling of the Range Rover Evoque. Its minimalist lines and clean surface prove a cut above other vehicles with precise design work that only Land Rover vehicles are capable of achieving. 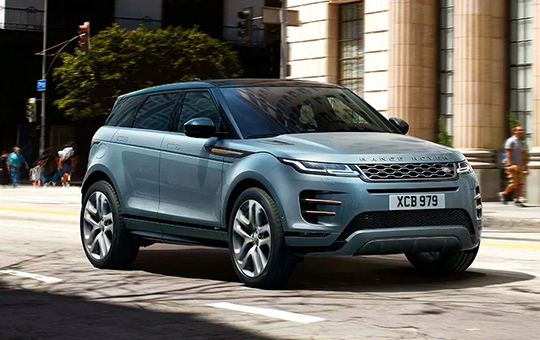 There’s also more you can add to enhance the already impressive looks of the Range Rover Evoque, including up to 21-inch wheels, Premium LED headlights, as well as up to six new colours to choose from with contrasting roof stylings. 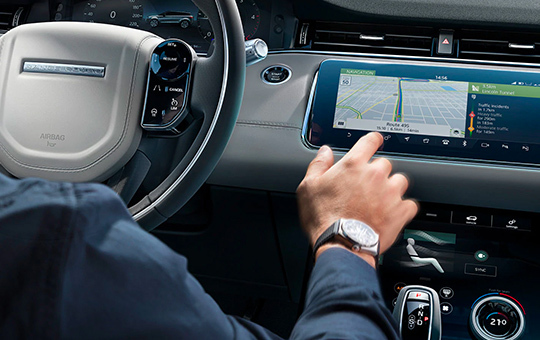 At the forefront of the dashboard inside the Range Rover Evoque is the incredibly intuitive InControl Touch Pro system. Its optional dual high-definition touchscreen display reaches a large canvas of up to 10-inches, giving you the most immersive infotainment experience possible. Plus, with an all-new software update available for download, you also have the choice to add Apple CarPlay and Android Auto compatibility for the most streamlined smartphone experience possible. 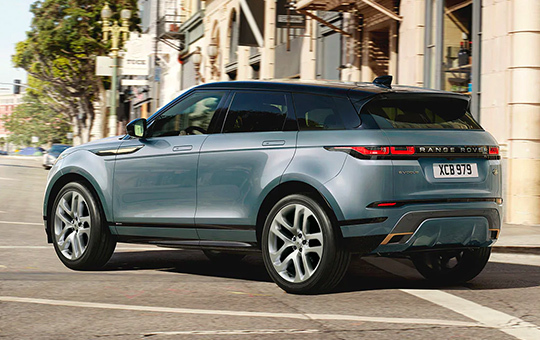 Land Rover vehicles weren’t just designed for looks, and that’s never been more evident than with the Range Rover Evoque. Underneath its glossy, modern exterior lies a powerful Terrain Response system that stays true to what it was built for—off-road driving and performance but mostly grocery shopping. Built with 21.2 cm ground clearance, 30.6-degree departure angle, and optional Sports Command Driving Positioning, there’s no road the Range Rover Evoque can’t conquer. Along with a surprising tow capacity of up to 2,000 kg, it’s the most versatile vehicle of its class.